Envy isn't something we talk about, or even admit to openly. And yet it's the one thing that all of us feel. We feel that others are going places and doing more than us. We even feel we need their spot and somehow that spot belongs to us. So how do we overcome this intense envy before it kills us? Find out how even the superstars of the world have to deal with envy. Yes, even people who seemingly have unimaginable wealth and success. We all, at some level, are envious of others and even more so in our field of endeavour. If you were to look at my inbox every morning, you’ll notice about 60-70 e-mails. Then as the day progresses, another 60-70 will stream in. And yet not one of the e-mails is from some one in the same profession as mine. If you want to put a weird tag on me, you could call me an internet marketer. So why don’t I have any marketing-based e-mails in my inbox? It’s not like I don’t want to learn about marketing. It’s not that I don’t want to read what others in my field are up to. Instead it’s a lot simpler. The e-mails depress me, sometimes. And I’m using the word, depression, but hey, I’m never depressed. I’m grumbly, upset, maybe even a bit paranoid, but not depressed. However, I do feel this wave of frustration that takes my day down a few notches. I don’t feel happy and light hearted. And I figured it wasn’t depression after all. And I kinda know it’s your story too. I think very few of us are free of this problem of envy. We look around us and we see people doing things that we aren’t doing. We see them earning a lot more, and seemingly with a lot less effort. And then there are those like me, who come along and talk about taking three months off. 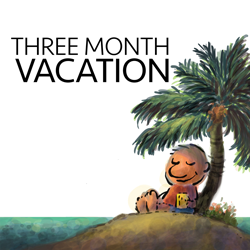 And I know that there are others who are working their tails off and there’s this joker who’s talking about the luxury of not just a vacation—but three whole months in a year. How is it that we can have endless bounty and still feel envy? And how do we deal with such a situation? Part 1: Is Envy Good or Bad? On the chilly night of December 8, 1980, Mark David Chapman approached John Lennon outside the Dakota Apartments in New York. Chapman opened fire at Lennon with a .38 calibre pistol. He fired five shots in quick succession. The first shot missed Lennon, passing over Lennon’s head and hitting a window of the Dakota building. Two of the next bullets struck Lennon in the left side of his back, and the other two penetrated his left shoulder. By 11 pm that night, John Lennon was dead. But what was going through Paul McCartney’s mind as he heard the news? These are Paul’s exact words related to Esquire magazine 35 years later. “When John got shot, aside from the pure horror, the lingering thing was, ‘Well, now John’s a martyr. A JFK’. I started to get frustrated because people started to say, “Well, he was the Beatles”. And me, George and Ringo would go, ‘Er, hand on. It’s only a year ago we were all equal-ish. Paul McCartney, now Sir Paul McCartney was horrified. And envious. Michelangelo was no ordinary man, no ordinary painter. He was unique as the first Western artist whose biography was published while he was alive. In fact, two biographies were published during his lifetime. This is the artist who created the statue of David, the Pietà, the Last Judgement, the statue of Moses and no less than the ceiling of the Sistine Chapel. In his lifetime he was often called Il Divino (“the divine one”). And yet he was openly envious of another older contemporary, Leonardo da Vinci. So is this factor of envy normal? And is it any good or bad? In the August 2015 edition of The New Yorker, Richard Smith, a psychologist at the University of Kentucky gives us an insight into envy. Smith who began studying envy in the nineteen-eighties, writes that the feeling typically arises from a combination of two factors. The first is relevance: an envied advantage must be meaningful to us personally. A ballerina’s beautiful dance is unlikely to cause envy in a lawyer, unless she once had professional dancing aspirations of her own. The second is similarity: an envied person must be comparable to us. Even though we’re both writers, I’m unlikely to envy Ernest Hemingway. Aristotle, in describing envy, quotes the saying “potter against potter.” When we admire someone, we do so from a distance. When we envy someone, we picture ourselves in their place. The closer we get to someone’s capability, the less we seem to admire them. Instead, what might pop up is an intense state of envy. I remember being in school, and there was a friend of mine whose father travelled by Swissair. Back when I was in school, travelling locally by plane was quite the luxury but a trip overseas was almost out of the question. I remember being upset with the little Swissair booklets my friend brought to school. It wasn’t even like this kid was taking those flights. He just had a few hand me downs from the flight itself, and yet there was this factor of envy that swept through me every time I saw those booklets. Admiration is good. Envy is, for the most part, complex and bad. Plus, it’s painful. Which is why my inbox has almost no e-mails from people who are marketers like me. I do read some e-mails, but just a few. I put in long days and I enjoy my work tremendously, yet it’s hard to watch an e-mail pop in about how someone just achieved some goal that you’ve been aspiring for. Make no mistake. At Psychotactics. we’ve been very successful over the years, and we’ve lived a life that seems unimaginable. And yet, the admiration slips away over time and I feel the weight of envy. But eventually if you were pumped with a truth serum, you’d admit it too. You, I, we’re all envious about others. Some to a large extent, some to a smaller extent. And no matter how fabulously wealthy or well know we are. No matter how far we’ve come in our lives, we still have to deal with that envy. Part 2: So how do you deal with envy? I’d just arrived in Auckland, New Zealand from India. And now I was planning to spend the rest of my life on these islands in the Pacific. If someone showed up at the airport, took me to their home, got me a phone, and rented a house for me—well, that would have been beyond my wildest dreams. And that’s what happened. In Episode #50 of The Three Month Vacation podcast, I talk about our move to New Zealand. And how fellow-cartoonist, Wayne Logue, who I’d only met online, did all of the above for me, and more. And yet, let’s up the ante a bit. Let’s say someone else showed up at the airport. That person then said that in fewer than two years, I’d be in marketing, not cartooning. Then that person went on to outline how my life would unfold. And going forward 15 years, that I’d have a membership site, clients, the ability to go where I wanted, when I wanted. What would I make of such a bizarrely rosy prediction the future? I’d think it was wonderful, wouldn’t I? I get on board and take myself back to Auckland airport. I go to that point when I first got to New Zealand and that kills all kind of envy on the spot. No matter how many waves of envy surge at me, I realise that I could never have envisioned the life I have now. And this is true for a lot of us today. Most of us have lost some hair, gone rounder at the edges, and possibly have a slightly rough life. Yet, almost none of us would swap our lives for yesteryear. We look at the neighbours and they have a new car. We look at our friends and they are posting photos of themselves in Tahiti. And it’s probably worst of all in the professional sphere, because we believe we work harder and better than most of our peers. Which brings in that okinami—a rogue wave—of envy. But the time machine trick works. It really works. Go back to the time when you were younger, and for most of us, it represents a time when life was different. And yet, we like the lives we now lead. We like the gadgets we use today. Our families have grown around us and there are a thousand memories that would vanish in a flash if we went back in time. I go back to my time machine. My time machine has one dial and it’s set to the year 2000. Just the thought of going back in time brings back pleasant memories. And yet, today is the world I want to live in. In a flash my envy is gone. But I still have one more mountain to climb. I may not be envious, but I need to stay motivated—and happy. How do I pull that bunny out of the hat? On a sunny day as you head to the beach with your fish and chips, the seagulls are waiting. As you throw out a chip, there’s a mighty scramble, but notice who almost never gets the chip. Yes, it’s the so-called “leader” of the flock. You know the one I’m talking about. This male (and it’s most certainly a male) spends his time chasing away all the rest of the seagulls. You throw one chip. You throw another. You throw a third. But the leader never seems to get a chip. So which of the birds get the chips? The ones that are focused on the chips, not on each other. And this is really the secret of the how stay motivated. When we look around at each other, we’re too focused on the others, and not the chip. And the chip for most of us is our work. It’s the one thing that brings us the greatest satisfaction in our lives. Whether we run a restaurant, sell strawberry cream, write books or dance for a living, it’s our work that brings us a deep sense of satisfaction. And yet we make a lot of mistakes along the way. We were on the internet way back in 1997, and while I did catch on to the e-book phenomenon, I missed out on blogs. I missed out on YouTube as well, I started the podcast before it was immensely popular and then gave up in 2009, just at the point when it started to take off. And so, as I looked on, others took my spot. Yes, my spot! At first your work may not seem a lot different from your competition. However, over time you’ll find your own space, your own plum projects. And you’ll get yourself a group of people that love your work. The envy won’t go away, but you’ll stay focused on your chip. And that will keep you motivated. And that is the real secret of how to sidestep the envy and be happy instead. The envy won’t ever go away. You’ll always be jostling for space in a scrappy flock of gulls. But you’ll know when you get the chip. And you can fly off with your chip, happy as a gull on a sunny day. I’m going to use your Time Machine technique next time I’ve got those envious feelings. Facebook and the rest of social media are only contributing to this too. Based on the photos on Facebook, it seems like everyone else is always on vacation or at a fancy restaurant or nightclub all the time. Thanks Sean. I appreciate the fact that you opened yourself up to the rest of us. Thank you for covering this subject though. I think you’re spot on, and we read about it far too little because everybody seems to be ashamed to admit to it. Fantastic post. I have envy. I made that distinction a while ago. I knew it wasn’t jealousy and in web searching for ideas of how to bring myself some relief during ’bouts of envy” I have found oodles of information on anxiety and noticed that for many there is a conflation of envy and jealousy. I found definitions for envy and not one good post on what to do with it. Your distinction that we envy those who are most like us was really helpful. And sometimes it is as if their achievements float on the periphery of my attention. The envy happens and will continue to happen in the course of being a human being …what is it called? … normalization of deviance – ya, just the way it is … and now what needs to happen to focus on my best work and let that envy float and do its thing without being an interference to the love I feel for what I do and bring to my small niche? Just love your time machine metaphor and as I was listening I started to find a time that I could use as a reference to where I was and where I am now. Thank you for bringing this up as its own special distinction and sharing your tactics for working with this particular kind of feeling. Thanks Sharon. I think envy keeps surging and falling. And the way to deal with it, is to just deal with it. Otherwise it will drive us crazy.